The campaign against single-use plastic and excess packaging - promoted by the Plastic Attack Facebook Page - began in the United Kingdom, and will arrive in Paris on June 2. It challenges shoppers to do their normal supermarket shop, but dump any excess packaging in the supermarket before leaving. Organisers indicate a specific supermarket 48 hours in advance, to increase the impact of the move. Judging by the Facebook Group, there are already hundreds of people interested in taking part, and the movement is expected to spread to around 50 other towns through local activists. The challenge has also spread into Belgium and the Netherlands. It is intended to raise awareness of the idea - as stated by world yachtswoman Ellen MacArthur, among other activists - that by 2050 there could be “more plastic than fish” in our oceans. It also comes at the same time as the accompanying social media campaign launched by environmental NGO Greenpeace, spreading on Twitter especially, with the hashtag #RidiculousPackaging. 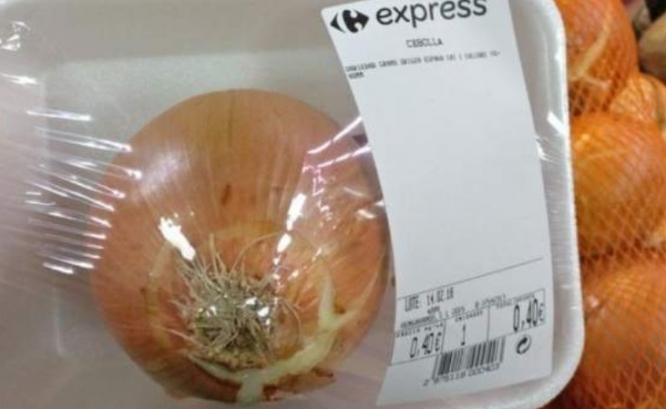 The campaign asks shoppers to post photos of excess packaging online and state the supermarket it comes from. The idea is to publicly shine a light on the issue, and make the extent of the problem clear. This is especially true when it comes to fruit and vegetable packaging, as many Twitter users have complained. Users have not only focused on fruit and vegetables, however, and have highlighted other instances of “#RidiculousPackaging” - such as user Julia Fougère (@jufouge), who questioned the choice to package TicTacs - the small mints - in tiny, individually-wrapped packs of four.